Ironically the same hospital that saved Robin Roberts nearly killed me, and since then I have been closely following Robin's story - a story of not just recovery, but of victory, strength, grace and amazing personal triumph. The Moms (Denise Albert and Melissa Musen Gerstein) put together tons of interesting events, but for obvious reasons the #RobertsMamarazzi event (that is the twitter hashtag for the event if you want to follow the thread and see everyone's photos and perspective on the day), was particularly near and dear to my heart. I had wanted to pick up Robin's book "Everybody's Got Something" since it was released. I know this is probably the longest I have ever taken to recap an NYC based event, but I knew somehow that re-visiting this event would inevitably bring me back to my own recent health struggles, and I found myself procrastinating because the memories that those days bring back are tough for me to face. The Book signing was held at NYY Steak in Manhattan and the restaurant was quite welcoming and offered a wonderful luncheon menu served directly to us so we could focus on our guest of honor! 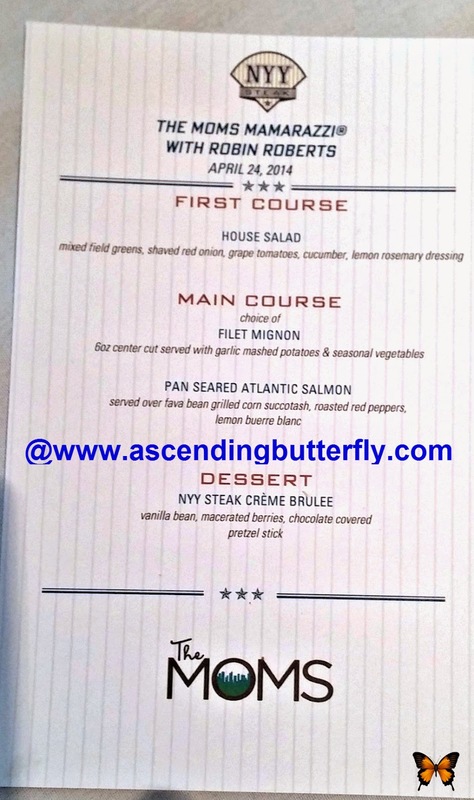 As you can see from the photo above, it was a wonderful menu! Robin was as warm in person as she has always struck me from watching her on television, and she took the time to answer all questions and personalize a copy of everyone's book, she was exceptionally gracious with her time, and offered tremendous insight into her recent bone marrow transplant, her battle with MDS, and how she juggled her professional and personal journey - and the marriage of the two as her personal journey was shared along the way before the book was ever released. I am definitely in agreement with the message that Robin shared from her mom, it's so true, we all have our own struggles, and sometimes we forget to look outside our own pain and personal journey to remember that everyone we meet and everyone we touch also has their own struggles! Robin's new memoir is raw, powerful and incredibly candid, she has shared her entire journey with everyone, every step of the way and I know firsthand just how difficult that is. Her strength, grace and sense of humor along with an amazing group of supporters and her sister's amazing gift got her through, and this book is inspiration and empowerment personified, I highly recommend it! Butterflies, watch Robin tonight on OWN (or DVR it if you are spending the day with your dad) and just remember, EVERYBODY'S GOT SOMETHING! FTC Disclosure: This is NOT a Sponsored Post, no monetary compensation has been received in exchange for our event recap coverage. We were provided with a copy of the Book and a Gift Bag courtesy of The Moms. All opinions are 100% my own. See our full disclosure policy for any questions. @Big Happy Buddha - I think that's exactly what being an Ascending Butterfly means to me! I have never heard of her before, but it sounds like a cool event!! @Masshole Mommy - Robin is an anchorwoman on Good Morning America. Her story is an amazing and it's a great book! It is so empowering! Wow, this sounds like an amazing event to be a part of. This is my first time hearing of Robin, but she sounds like someone I need to learn more about! @Dawn Lopez It was very important to me on a personal level to both read this book and meet her in person. If you watch Good Morning America I'm sure you saw her. Let me know what you think if you do pick up the book! I love Robin Roberts ever since her first days at ESPN. I am so happy for her recovery and can't wait to read her book! @Jessica - Same here! It's a great book! I'm so jello! That looks like it was an amazing and inspiring outing! Sounds like it was an amazing event and a wonderful opportunity! I've heard great things about the book. Btw, that Creme Brulee looks divine! I do think she is amazing. She has won many battles. So exciting you got to do this. 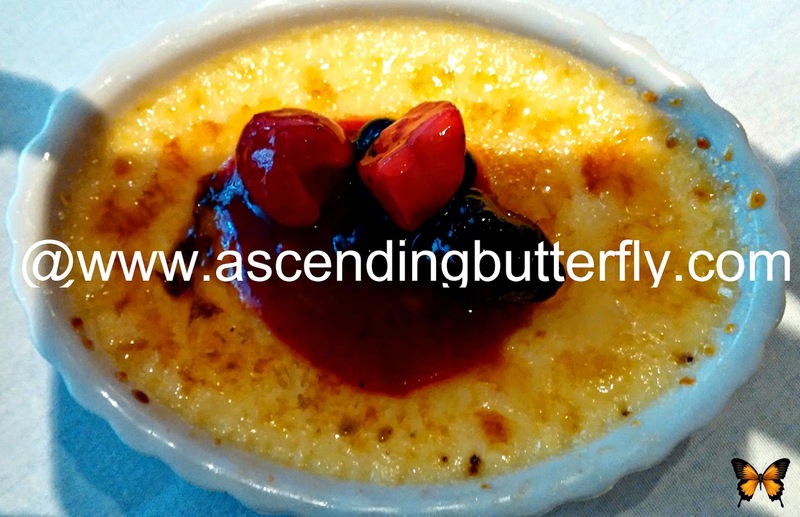 As a fellow foodie, that photo of your Creme Brulee Dessert looks to die for! lol This sounds like a great read. The fact that "everybody's got something" is a good reminder to be a little kinder. I'm very excited to read her book. It sounds like the event was really great. I love it when an author is really nice and personable when you get to meet them in person. She Sounds Like A Amazing Woman Looks Like You Had A Great Time Glad You Enjoyed Yourself! I would love to read this book! It sounds very empowering! I love how strong she remained throughout her sickness!~ A true inspiration. What a cool event, I enjoy watching her on TV will have to check out the book. I really, really like her. She's so genuine and easy to listen to. I bet I could read this cover to cover and come away inspired! There's no question that she's an inspiration! I love memoirs and I really think I'd like to read hers! I can't wait to read her book . She is a survivor! That sounds like such a fun event! I'm going to look into reading this book. I would love to read this book. 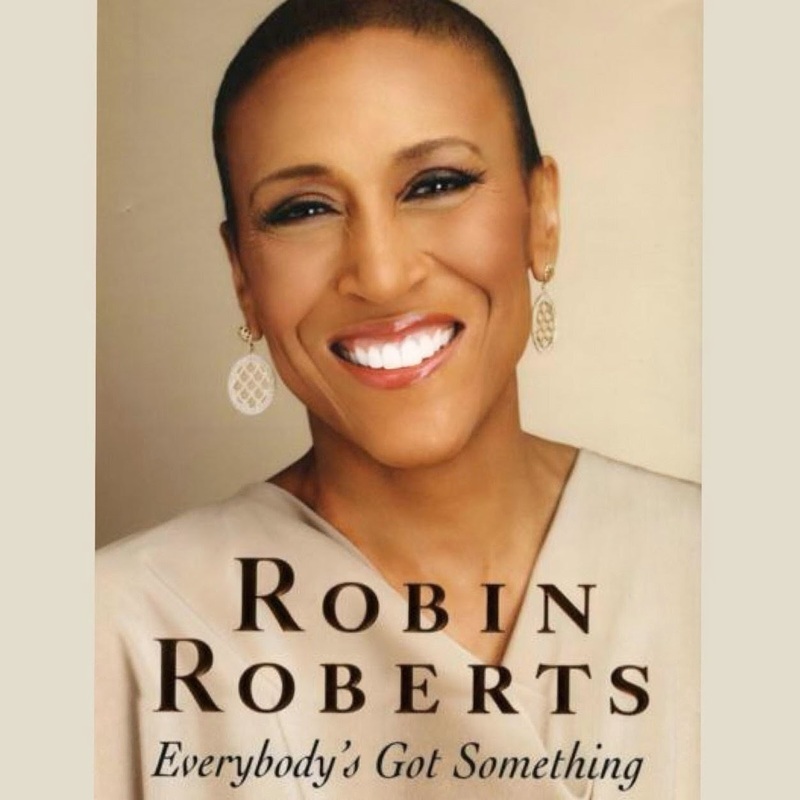 Autobiographies are my favorites and Robin Roberts definitely has an interesting and courageous story to tell. I'm a big fan of hers. She is so inspiring, and I really want to read her book. This sounds like it was a great event. 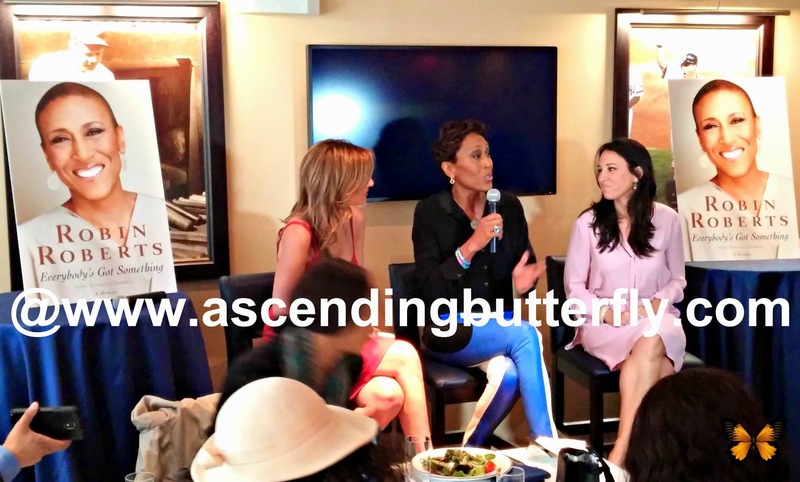 I love Robin Roberts - What a great opportunity to meet such an incredible strong woman. What a cool event! I always enjoyed watching Robin on TV and would have loved to meet her. Nice event! 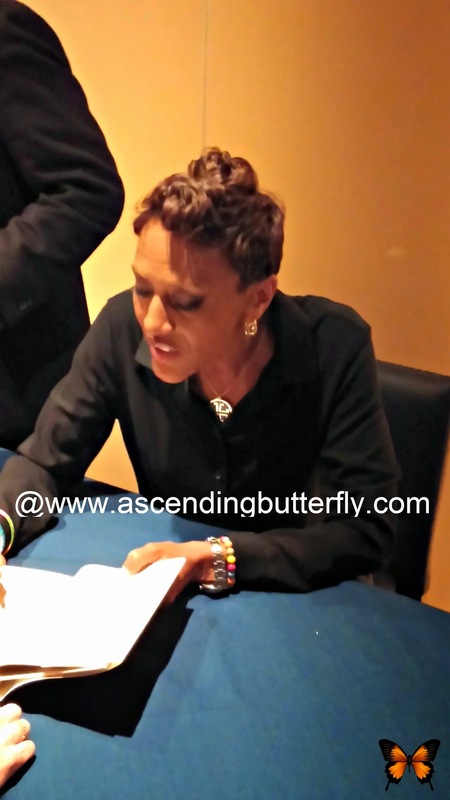 I loved Robin Roberts' Master class on Own, so I am sure that her book was great too.